Who doesn’t love old school, buttermilk pancakes? While traditional pancakes are extremely delicious, sometimes it’s nice to mix things up and try something different. If you’d like to switch up your breakfast routine, try making our cottage cheese pancakes. The pancakes actually call for a number of interesting—but delicious! —ingredients, such as flaxseed meal and cottage cheese. However, we’re positive that you’ll love these pancakes. Serve them up for breakfast or brunch with a side of fresh fruit or some toast. After trying this recipe, consider sharing it with your family and friends on Facebook, Pinterest, Twitter and Instagram. Our cottage cheese pancakes recipe is incredibly easy to make—in fact, you can whip these up in less than ten or fifteen minutes. 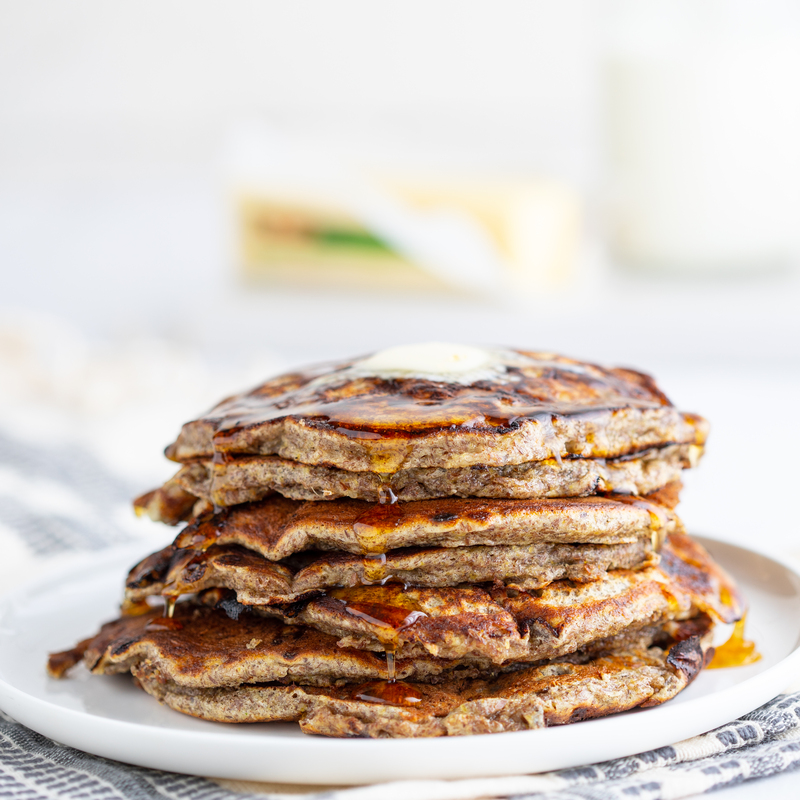 To get started, you’ll need one cup of flaxseed meal, a half-cup of all-purpose King Arthur white flour, a half cup of sugar, baking powder, baking soda, salt, ground cinnamon, Cabot Cottage Cheese, eggs, whole milk and some cooking spray. The directions below highlight all of the necessary steps. However, keep in mind that when preparing these pancakes, you should remember to cook the pancakes until you start to see bubbles forming in the batter. Once you see that, flip the pancake—if you wait too long, you may risk burning the pancake! Can’t get enough pancakes? If you’re working out, or you’re trying to put on more muscles, try our High Protein Crunchy Pancakes. These cakes are practically packed with protein—they’ll not only help you increase your daily intake of protein, but they’ll also help keep you feeling a bit fuller throughout the day. 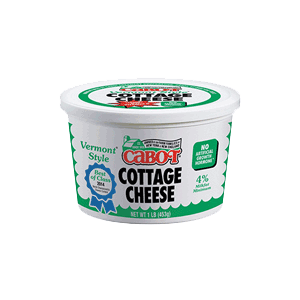 Here at Cabot, we work hard to ensure that all of our dairy products—ranging from our butters to our cheeses—are made using only top-notch ingredients. Quality matters—that’s why we want to make sure that our recipe for cottage cheese pancakes is up to our high standards. After trying it, please feel free to go ahead and rate and review it. Note: To make this recipe gluten-free, substitute 1 cup of almond flour in place of ½ cup of all-purpose unbleached white flour. COMBINE the ground flaxseed meal, flour, sugar, baking powder, baking soda, salt and cinnamon in a large bowl. Sift with a whisk to mix. WHISK the cottage cheese, eggs, and whole milk until thoroughly combined in a medium bowl. FOLD in the wet to the dry slowly, stirring well. The batter should be thick and wet but not runny. SPRAY the pan with nonstick cooking spray, and pour the batter onto the hot pan in small rounds. Cook until bubbles start to form on the surface and the pancake lifts easily at the edges. Flip and cook the other side until browned. These pancakes are amazing! My husband isn't a big pancake fan, but after the first bite asked if I'd only make these from now on. We added some cinnamon chips, and they didn't even need syrup.